Some time ago I blogged about the rather excellent poet Ros Barber of whom I am big fan. I am pleased to report she has started a blog called Shallowlands about writing a novel. It is entertaining and very interesting and I shall be dipping in to see how she is getting on. 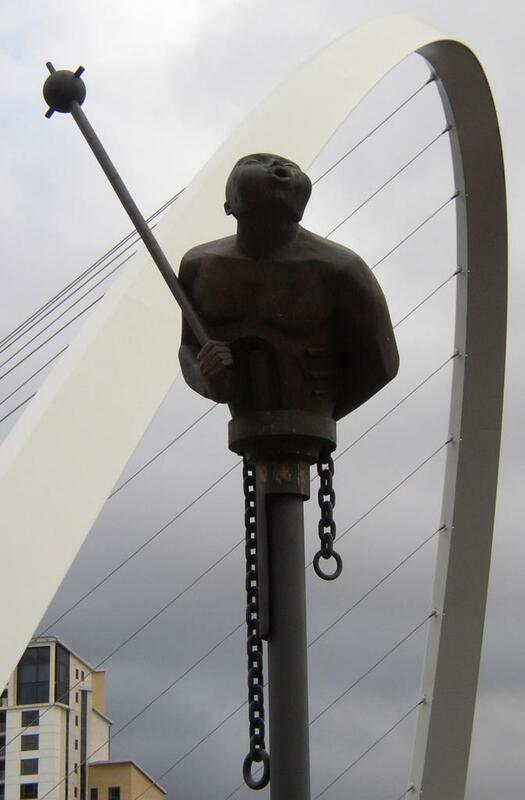 On Tuesday I was contacted by a student, Angi Holden, who is studying Creative Writing at Manchester Metropolitan University in Alsager. Apparently part of the course is called 'Contexts' and she has a presentation assignment on 'The Writer's World' and has decided to focus on Chester Litfest. She asked me a few interesting questions. Here they are with my responses. 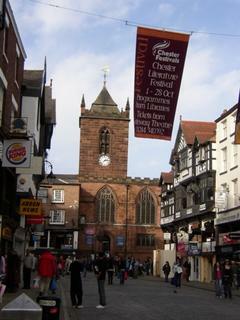 A.H: What is the value of a festival - such as Chester Litfest - to an established writer? C.D: First of all not sure about the 'established writer' bit, really. I've only written three novels, I don't think that's 'established' really. 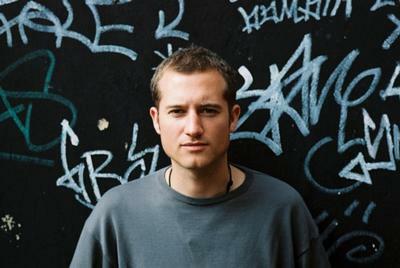 But for a writer like me, the main value of any Litfest (and I've performed several this year - WOW (Writing on the Wall at Liverpool), Swindon, Basingstoke, Cheltenham and now Chester) is to introduce myself to potential readers. They do tend to be potential readers rather than actual readers because apart from my friends in Chester, few people have come across my work even though it has been quite widely reviewed. And because I am relatively unknown my talks have to be on topics that I think might interest people and so they will come to find out about the subject rather than come just to 'meet the author' as they do for well-known novelists. Well-known novelists tend to talk about things like how they write, how they got started i.e. general things about their lives as writers. My talks tend to be less about me and more about the topic of my research. At the end of my talk I hope they are interested enough to want to buy my book, and then buy any subsequent books that I write. 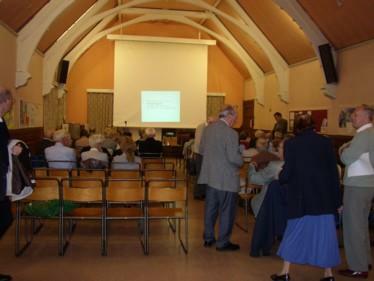 Quite often they don't, of course - my talk has given them all the information they need - and that is good as well, because part of the reason I've written my books is to tell people about characters or events which I think are interesting, important and deserve wider attention, and so just their attendance at my talk achieves this aim. Another benefit of being in a festival is that even if people don't come to your event they read about you in the programme which is widely circulated so that is good publicity. Sometimes local bookshops stock festival books so that can be of benefit too - because sometimes it is hard to even get your books in bookshops. So being in a festival helps to bring your book to the attention of bookshop managers - for example in Swindon the manager at Waterstones there read my book because I was coming to the festival and liked it so much she made it her recommended read and put it on display which would more or less guarantee that it would sell. However it does depend on the manager - at Basingstoke the bookshop associated with the festival didn't stock my book which was disappointing. The big festivals have an extra benefit in that you meet other writers and journalists. In Cheltenham I met several well-known authors and a journalist from the Times asked me a few questions. They also treat their writers really well, and it is great to be invited. All festivals are a lot of fun too, and I really enjoy them but they are exhausting because after travelling for several hours with, in my case, a computer, a bag full of books, and an overnight bag you then have to set everything up and perform then either sleep badly in a B&B or make the long journey back again. And of course I have to spend several days beforehand preparing my talk with pictures and words. I enjoy this too, but all of this takes you away from writing, and it is impossible to write before or after giving talks - even Alan Bennett says so. 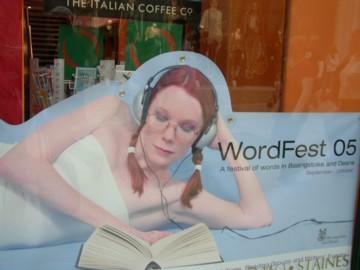 A.H: How does it compare with your perceptions of a literary festival from a "punters" point of view? C.D: From the punters point of view ... well, I've been to as many events as I can in the Chester Festival (as I do every year) to support both the festival and the people involved. There were more I would have liked to have gone to but I was away at festivals myself so I couldn't. I would have liked to have gone to Joanne Harris's and David Frost's too, and I should have liked to have gone to Chester Poets' but was away at events. I suppose, like you, I like to hear about other writers' lives and how they got started and it is always interesting to hear the writers' real voice and see how it compares to the one on the page. I also like to support local writers and writers I have never heard of before - and these often turn out to give the best events - the most interesting and informative. A.H: What's been your highlight of the festival? C.D: So far the best event of this year for me was the one at Chester University by a couple of lecturers there (John Cartwright and Brian Baker). They have written a book about science in literature and their lectures were fascinating. One was on how writers have mentioned science in literature through the ages and the other on science fiction. Talk at the Chester Literature Festival. 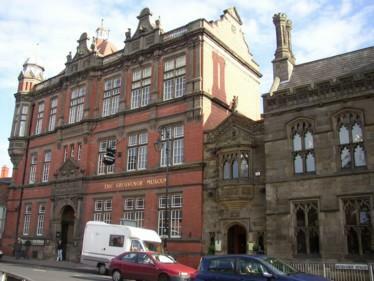 It is the last week of the Chester Literature Festival and my last event for a while - a talk on THE MAKING OF MODERN MADNESS at the Grosvenor Museum. It was good to be on home territory with a room full of people who have read my book and know me and I was very glad to see them. I don't feel like giving up any more. Jan Bengree gave me an excellent introduction, and Sheila Parry gave the vote of thanks. Sheila's Steve operated the computer very well, and when the projector gave up half way through (because it wasn't having enough attention) he managed to cajole it into working again. Alan Wall was there, which was very good of him because he lives far away, and the manager of Waterstones sold my books - and amazingly some people bought them. Tonight I feel all is not lost and tomorrow I am going to work hard and try to produce another book if I can. 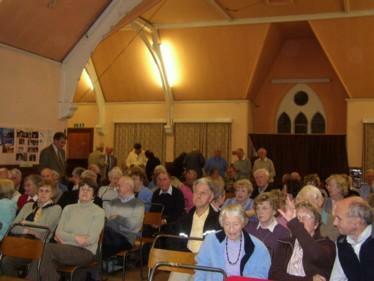 And they kept coming and a coming..
Jolly good audience, very appreciative, and lovely lot of people. They'd never heard of Alfred Wegener but they have now. The evening, however was not without incident. The projector seemed to be dead at first and four of us stared at it until it got embarrassed and started to work, spontaneously...and on the way back I decided to go round the traffic roundabout using the unique Hodmandod anticlockwise system. As experiments go it was unsuccessful and I only just escaped with my life. Well after a week the blog is back - I missed it too much. 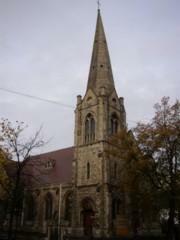 Today I went to the Bethel Presbyterian Church of Wales in Liverpool. I walked down Penny Lane (as in the song) and it was litter-strewn and run-down looking, especially the millennium park which was particularly bleak. 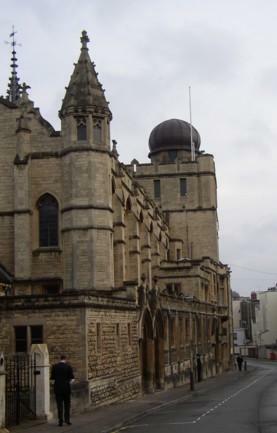 The Welsh chapel stood proud of the hill, instantly recognisable - that characteristic combination of austerity overlain with dour ornament. Inside there was another country - Wales in England, people coming up to me talking a language I should know but don't. They were my height, my complexion, my people, all of us from the same stock - Romano-Celt. For an hour I listened to the language that should be mine, but isn't, the language I was used to hearing as a child on holiday but never learnt: Gareth James and his talk entitled 'Cefndir y Mimosa'. The sparse snatches I understood sounded very interesting and not for the first time I wished there was some sort of hat you could wear, the universal translator that is always so freely available in most works of science-fiction. But then there was a talk in English which I know was fascinating - author Susan Wilkinson from Toronto talking about 'The Romance of the Mimosa'. 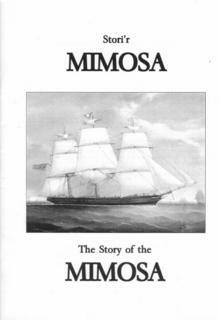 The Mimosa was a ship that began life as a tea clipper but is most famous for being the ship that transported about 160 Welsh people to Patagonia. They left from Liverpool. At the time 80 000 people out of a total population of 450 000 were Welsh in Liverpool and there were 70 Welsh chapels in the city. Bethel is one of just seven that remain and is due to be demolished in the near future. Like much of the rest of the Welsh legacy in Liverpool it is crumbling away, is in desperate need of expensive refurbishment and is under-used. 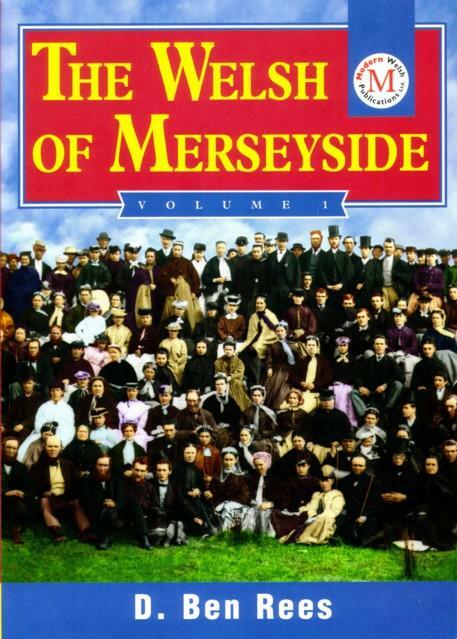 However the Welsh community in Liverpool is live and kicking and still publishing. 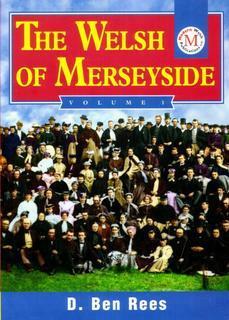 THE WELSH OF MERSEYSIDE is one of their recent publications. It is well-researched and contains a catalogue of Welsh buildings and characters including one John Davies 'Cadvan'. 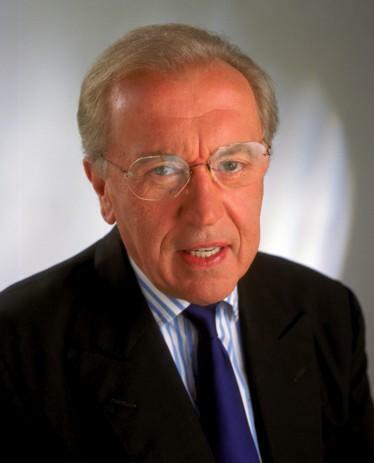 He was a 'cantakerous' competitor in the National Eisteddfod (a Welsh cultural festival). Although his heroic verse won first prize in the 1884 competition his love lyrics in the 1900 competition were not similarly lauded and he protested vehemently. He stares out of the pages of this book - a handsome man but clearly eccentric - his Wesleyan Methodist ministerial robes festooned with eleven medals dispersed over the entire expanse of his chest. A few nights ago I went to see two poets - Fleur Adcock and Wendy Cope who were funny and at the same time made you see things in a different light. It was a good evening. 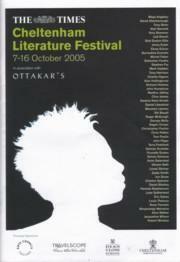 So to finish this literary blog - at least for now - here is a poem I wrote about ten years ago. It is about Mrs Mounter - a painting by Harold Gilman. She was his landlady and he painted her several times. I think she looks like she is remembering back to when she was younger. both once drank instead of this. Now for a real crime writer - Margaret Murphy - who lives close by on Wirral and as well as being a great teacher and speaker writes highly entertaining crime novels with local settings. She has written two based in Chester itself (DARKNESS FALLS and WEAVING SHADOWS) and I find it great fun to pick out the places you know. However her latest trilogy (first is the DISPOSSESSED and the second is out in November (NOW YOU SEE ME)) is based in the more exciting city of Liverpool because, after all, Chester is a place where little tends to happen - although in Margaret's two novels about the place, things are certainly very lively indeed and they are great page turners. She has an excellent website (link above and below) which gives a lot of information about the books with extracts. She has kindly answered my seven questions. I kept pet snails, in junior school. I've always hated slugs, though. Later, when I taught biology, I kept giant African snails - this was before Health and Safety banned everything, on the basis it might be unhygienic. I come from a repressed Roman Catholic background, where Pride (capital P) was a sin, and always came before a fall. I do have moments when I'm quietly pleased, in an 'aw shucks' kind of way: like having my first book published. Or having my next book published. Positive feedback from fans pleases me more than anything, though. 1989 - 1990. I had a series of TIAs. I lost concentration, co-ordination and had trouble articulating. Problematic for a teacher, and devastating for someone who always loved language. As I began to recover, I decided I'd made enough excuses: I had to try to write that book I'd always said I would write. So began my career as a novelist. A good friend - a refugee - experiencing a flashback. I was caring for her after a particularly traumatic interview, and she woke from a nightmare, and thought she was back in prison. When she looked at me, she saw the soldiers coming to attack her again. I'd like to have more energy, so I could get more done with the day. Deep, Clare, really deep... Happiness used to be a cigar called Hamlet, apparently, but never having been a smoker, I can't vouch for that. Happiness is waking in the morning with the sound of the birds outside the window, the sun already warming the garden, and the scent of honeysuckle lingering in the air. It's the first thrill of excitement as you begin planning a new novel. It's sharing a bottle of cold wine on a summer's evening with an old friend. Your voice and theirs no more than a murmur on the clove-scented air. I open the bedroom curtains and see what kind of day it is. Then I drink lots and lots of tea. 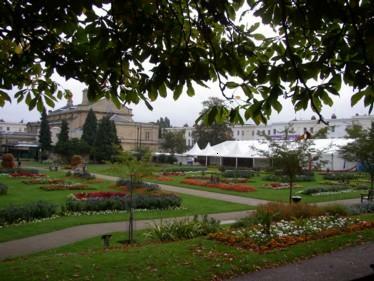 My Cheltenham Literature Festival class seemed to go quite well - twelve keen writers eager to improve their dialogue. Since this is a topic I have always found quite difficult I had quite a lot to say on the subject - I think it is easier to teach something you yourself have found quite hard to learn. I've heard that some writers actually hear their characters’ voices talking to them but find descriptions more difficult - while others are more visual writers and I am sure I am in the last camp. The Cheltenham Literature Festival looks after its guests very well. At the station was a volunteer holding a sign with 'Cheltenham Literature Festival Guest' and I realised then that that was some unrealised ambition of mine - to be met by someone with a sign...I was supposed to be sharing a ride with Alison Weir but her train was delayed so I was whisked off to my hotel alone with a reminder to go on to the town hall later. 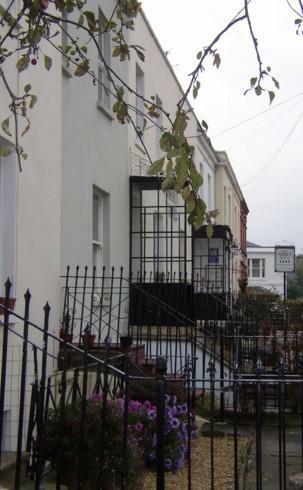 The hotel turned out to be one of those small quiet ones, backing onto a park, with a pretty back garden and friendly owners. The town hall was about ten minutes away, clearly visible with banners advertising the festival all along the street and then lots more banners and flags outside the building itself -even I couldn't miss it. Inside I was given instructions to go to somewhere called THE WRITERS ROOM. This turned out to be a small room with a bar in one corner, a table laid out with salad and fruit and a couple of drinks urns. There were a few people sitting around tables talking and at first I felt like I was intruding into some private club. There was a man sitting in a wicker chair I vaguely recognised from a television news programme. This time I managed to stop myself smiling at him as if I knew him. This is a mistake I've made before. The TV screen is one way, I reminded myself - he looks out at me, but he can't see me looking back. So I helped myself to some food as instructed in my Cheltenham Literature Festival letter and sat at my own at one of the tables hoping someone would talk to me - but of course no one did. Eventually I accosted an innocent author also sitting on his own who turned out to be the military historian and ex-Observer journalist Colin Smith who was very interesting and he told me where to get 'my performer pass'. This takes the form of a green armband which is much better than the piece of card I was expecting - although I have to say that the idea of me being any sort of performer is pretty funny...I also had a word with the author Andrew Taylor (who had taken a similar class that morning and is going to be a feature of a future blog). 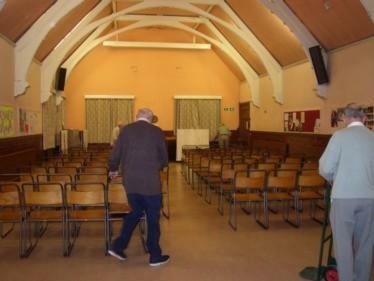 A young and very charming helper in a black T-shirt then came up to me and introduced herself - Jasmine - she showed me to my venue - a room at the back of St Andrews Church, checked that everything was working and helped me rearrange the desks in the room. 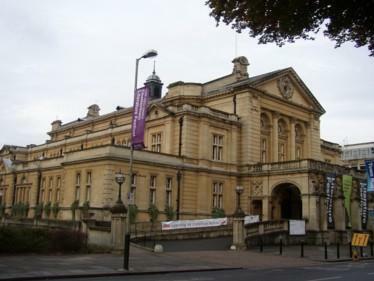 She has just finished her education at the very famous and exclusive Cheltenham Ladies College, which was just next door. ...to listen to Lawrence Sail, Helen Dunmore and Bernard O’Donoghue read out their own and other people’s poetry from an new poetry anthology LIGHT UNLOCKED which is a beautiful little book nearly each poem illustrated with an engraving by John Lawrence. Since there some of my favourite poets in here (viz Gillian Clarke, Wendy Cope, U.A. 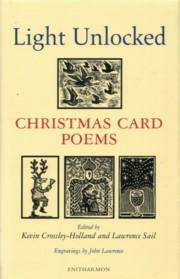 Fanthorpe, Benjamin Zephaniah and Seamus Heaney) I bought a copy. I think I am going to use it as an poet autograph book. The tent is really a big extension of Ottakars’s bookshop and some of my books were on display just like all the rest - so I was pleased. Apart from the bookshop area there was a small stage and screened off theatre. A covered walkway leads to the town hall where I was very lucky to be able to see Alan Bennett read and speak to a packed audience. Towards the end he appealed to the audience to buy books from INDEPENDENT BOOKSELLERS rather than chains (e.g. Waterstones) because their 3 for 2 offer has resulted in many bookshops being unable to compete and consequently going out of business. 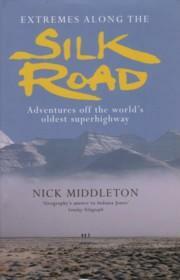 This was followed by an illustrated talk by the geographer Nick Middleton on his book EXTREMES ALONG THE SILK ROAD which was fascinating, especially the section about an island called Voz in the Aral Sea where there has been extensive experimentation with biological warfare agents by the Russians. It sounded frightening and I wanted to learn more. I wanted to know what they did, how exactly do you experiment with biological warfare agents? What is there to test? The microbes kill - what more is there to know? Maybe they try tried to make the microbes more hardy or more potent. Apart from this the Soviet regime had also drained the 'sea' (which used to be the world's fourth largest lake) - and there were impressive and depressing pictures of great hulks of beached trawlers, presumably representing ruined lives and a way of life now gone forever. Back in the WRITERS ROOM things were becoming even more hospitable with the happy sound of corks being extracted from wine bottles and I spent an enjoyable few minutes talking to Michael Buerk about the joys of living in the north west of England before he was irritatingly removed to the stage (after I had been ushered to a reserved seat in front of a large hushed audience). His discussion on life as a BBC war reporter with Rageh Omaar (who still doesn’t look old enough to be out of school never mind reporting from war zones) about being a BBC war reporter was very interesting. According to Mr Omaar part of the BBC pre-visit safety training course before going off into a war zone involves testing for the presence of land mines with a biro. 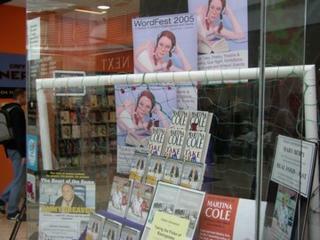 Here is the window display at Ottakars in Basingstoke promoting WORDFEST. On the way to the Willis Museum I went inside hoping to find a copy of my book - subject of my talk at the museum today - but there was not one copy. I had a word with the manager but apparently they do not stock all books for the festival since there are too many. When I got home looked through the programme and did a quick count - 20 recently published books (at most) are featured. My book was not in Waterstones either. Less than six months after it came out in paperback my book is nowhere to be seen. This is disappointing. However my talk at the Willis went well with lots of interesting questions, and a very good ploughmans lunch prepared for the customers by staff at the museum which was much appreciated...and I sold a few of the books I'd brought with me on the eight hour return train journey. Tomorrow I am going to the Willis Museum in Basingstoke to give a lunchtime talk on the 'Diagnosis and Misdiagnosis of Insanity in the Nineteenth Century'. There is a review of a similar talk I gave as part of the Swindon Literature Festival by Ben Payne in the Swindon Evening Advertiser which I think is pretty funny. GENTLEMEN AND PLAYERS and an interview with Joanne Harris. On October 11th Joanne Harris, one of Britain's most successful novelists, is coming to the Chester Literature Festival to read from her latest work GENTLEMEN AND PLAYERS and to answer questions about her work. 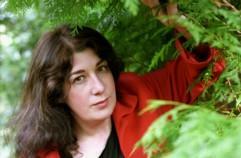 As a little advance publicity for the event Joanne Harris kindly agreed to be interviewed. The interview follows beneath her photograph below but first a review of the book. GENTLEMEN AND PLAYERS: A Review. One of the last passages in this book made me smile: it describes a conversation between a newly qualified teacher who has aspirations to be a writer and a teacher about to embark on his hundredth term '...nothing good ever comes of a teacher turned scribbler...' says the old hand. This must be Joanne Harris teasing her readers - this teacher turned scribbler has, in fact, come to much good - shortlisted for the Whitbread novel of the year with CHOCOLAT, long-listed for the Orange Prize for fiction with FIVE QUARTERS OF THE ORANGE and three of her novels reaching number 1 in the Sunday Times best-seller lists - clearly being a ‘scribbler’ has served ex-teacher Joanne Harris very well indeed. The book is about revenge set in an independent school for boys and told in two different voices - the voice of Roy Straitley a Latin master who is coming up to his 100th term at St Oswalds and the mystery voice which we know from the start is one of the new teachers, has long associations with the school and is set on revenge. Part of the fun of the book is guessing the identity of this voice - the ‘mole’. 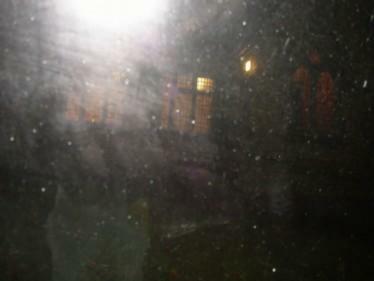 As the events become more and more sinister the suspicions change. There is something about the book that is slightly reminiscent of Donna Tartt’s THE SECRET HISTORY, although it is more light-hearted and funny. 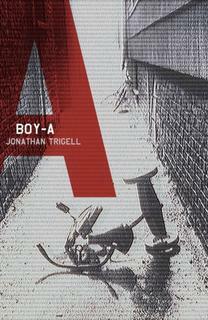 The novel is peopled with strongly-drawn characters recognisable to any teacher who has taught in a school: as well as the teachers (Straitley divides his colleagues into categories: Suits, Beards (mainly IT teachers), Eager Beavers, the Jobsworths, and the Tweeds - ‘a solitary and territorial animal’) there are familiar pupils and supporting characters too. The pace never slows and interest is maintained throughout the book. The mystery of the unnamed character keeps the reader engrossed, and along the way there are messages about the teaching profession and the institution of school. It is an affectionate portrayal of how loyalty to a place can sometimes override loyalty to colleagues and also highlights society’s recent tendency to look perhaps a little too vigorously for corruption and consequently persecute innocent people on the basis of hearsay and vindictiveness. Apart from sheer entertainment the book would be of value to those just entering the teaching profession - the narrative is dotted with pieces of advice from the experienced teacher turned ‘scribbler’ Joanne Harris - and newly qualified teachers could do worse than to take heed. Joanne Harris: My gardener has constructed an enormous wicker mojo snail, a kind of snail god, because I don’t like exterminating snails very much. This snail god has worked very well. There are no snails on my strawberry plants but unfortunately they seem to have been diverted from my garden to the house. C.D: You don’t have trouble with slugs as well? J.H. No, not really, though I did spot one as large as a carpet slipper in the garden this morning. We have lots of hedgehogs as well so I think these should eat the snails and slugs. J.H: Giving birth to my daughter. J.H: I have life-changing events everyday, but I suppose the main one was being given a second-hand computer when I was 19. I had been writing everything long hand but having a computer meant I could start sending manuscripts off. C.D: When did you first start to write? J.H: At a very young age. I had not a clear idea of what I wanted to write - I mainly did copies of work that I liked such as Edgar Rice Burrows: including subjects like forbidden cities and pirate crews. C.D: Did this lead onto your first books - of gothic horror? J.H: It took me some time to evolve my own style. There was a series of experiments. I didn’t like to write the same story twice. C.D: You’ve written books in different genres - is that what you’d say? J.H: I don’t believe that thinking in terms of genres is very helpful. It starts people thinking that there are some things they shouldn’t read. It is convenient for marketeers. C.D: Would you call HOLY FOOLS an historical novel? J.H: No, you could say the setting was historical , but it is not based on genuine figures - which is what I think of as an historical novel. Historical novels are more disciplined and factual. J.H: There are two ways to answer that - either flippant or not. I suppose the saddest things I saw were on my visit to the Congo-Brazzaville trip. But one of the saddest things I heard recently was that three-quarters of young girls want to grow up to be like someone like Jordan rather than J K Rowling. C.D: What did you learn from your Congo-Brazzaville trip? J.H: That water doesn’t necessarily come out of taps, that food doesn’t come from supermarkets, that we have no right to use the phrase ‘I need’ in this country. I think it is beneficial for anyone to spend some time in a third world country and to see the poor over there. It gives your own life a different perspective. It is not easily forgotten and it changes you for good. C.D: Why did you go on this trip? J.H: Because I gave the proceeds of my cookery book to Médecins sans Frontières and they wanted me to write a piece on their work for the Daily Telegraph. It was supposed to be a small trip but it changed into something larger. C.D: Do you feel tempted to write about that? J.H: Yes, that would be something very interesting to do. But it would be important not to trivialise it. I would need to spend more time there. C.D: Why were the Médecins sans Frontières people there? J.H: It was the general aftermath of colonisation and occupation, civil war and breakdown of law and order. It was not unique to that area. J.H: At the moment I’m on heron patrol. I look out of the window for the heron because he is catching the fish in our pond. Then I get my daughter Anouchka up for school and I have lots and lots of tea. C.D: What is your typical working day? J.H: After I have got Anouchka off to school I work until 1-2pm and then I stop. I still have a teacherly mode of working. I always have to have a break at 11 am and stop after lunch otherwise my brain gets in a mess. I then do something non-intellectual like gardening or read or go to the gym or watch a movie. I only ever work for six hours really well. C.D: GENTLEMEN AND PLAYERS is an affectionate study of school-life and teaching and I thought it excellent all the way through..
C.D: I recognised things from my experience as a teacher even though I taught in a comprehensive not an independent school. J.H: Well, I taught in both - there are lots of similarities. C.D: Yes. I recognised a lot. Do you miss the teaching life? J.H: I was a born teacher and I think it is difficult to get teaching out your system. There are things I miss but not enough to want to go back. C.D: What do you miss the most? J.H: The continuous soap opera, the perpetual farce - it’s fascinating - how everything can change and become horrible over night. Of course you are exhausted all the time because there is so much stimulus. Once you are stuck on your own, as a writer, you have to find stimulus elsewhere. C.D: What do you miss the least? J.H: Oh, the administration. Being endlessly in disgrace with the management. C.D: How much of you is in Straitley (one of the protagonists) or in any of the other teachers? J.H: Some of Straitley is me. There is a some of me in both protagonists. I like writing as a villain. There are things you can enjoy doing in print that you cannot do otherwise. I also enjoyed my other protagonist’s black humour. J.H: Yes. And then it wasn’t possible to do both. It would never have crossed my mind to quite teaching before that. 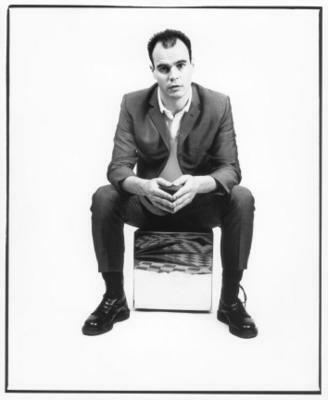 C.D: How long did it take you to get your first novel published in 1989? J.H: A long time. It is so tough and there are so many people that want to be published. What people don’t realise is that there is no one in the publishing houses to read the manuscripts. There just aren’t enough people. You have to be represented by an agent. J.H: Yes. There was nothing available where I live. I am sure I would have benefited from a course. I made mistakes. I had to learn the hard way. C.D: Was it a conscious decision to change tack? To write CHOCOLAT? J.H: It wasn’t as big a change as it looks. I was writing lots of different things. I was several years evolving my own style. C.D: Were you happy with the film adaptation of CHOCOLAT? J.H: Yes. Perhaps it was sweeter, not as edgy as the book but I liked the end result. J.H: Hard to say - maybe my pessimism and maybe my temper. J.H: Having a snowball fight with my daughter and husband on a sunny day. Like Jonathan Trigell's and Freda Hadwen's interviews an abridged version of this interview is expected to appear in the Chester Chronicle. It had not occurred to me that the name BISHOP AUCKLAND referred to something. 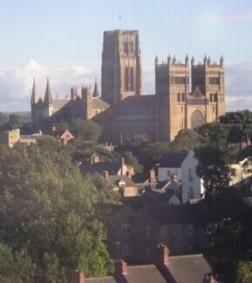 It is in fact named after the Bishop of Durham's residence, Auckland Castle. Eight hundred years ago the Prince Bishop established his hunting lodge here. Bishop Auckland is a pretty little place, with a market square where early this morning I walked around the trestle tables being loaded with sweets and an assortment of small cheap items you never knew you needed. The sky was uniformly white and part of it had descended into the square and gave the whole scene a quiet surreal feel. Off the market square is a respectable high street, and at the other end is the entrance to the Bishop's Residence. Some of the houses are clearly old, built from an attractive honey-coloured stone with small windows and leaded lights. I didn't have time to see the Bishop's residence but judging from the entrance it was obviously quite grand. It seems strange to think there were once Prince Bishops, who were virtually monarchs of their diocese, and the Bishop of Durham was a particularly important one in the north of England. I would like to learn more - the idea of these small fiefdoms and how they came to be and then declined in importance sounds interesting. The town hall in Bishop Auckland is a striking place, well-kept and modern looking inside and well-used. 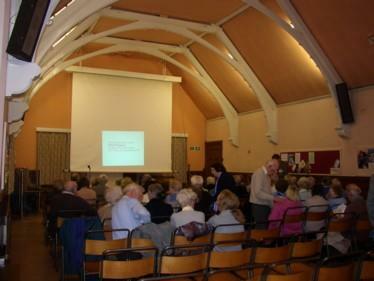 Last night was the first time they had tried showing a film (LADIES IN LAVENDER which sounds very good) and it was a sell-out. Unfortunately it clashed with my talk of course, but even so I had an audience of twenty (mainly the Weardale Writers) and they were enthusiastic, friendly and interested. A lot of work had gone on to publicise my event with many posters like this one over walls and at the entrance, together with beautiful pictures of icebergs so I was very pleased. Gillian Wales, the Centre Head met me at the station and made sure I was fed and I enjoyed myself very much. At the last minute I decided to stay the night - having realised that the car journey was likely to be four and a half hours each way - and booked into the Queen's Head hotel on the market square. On Friday and Saturday they have a disco until the early hours, but last night I was assured that I would be able to hear the tumbleweed - which turned out to be true. They gave me a suite rather than a room with a huge bath and a four poster bed, quite palatial, and it was quite a pity I was there for such a short time. The people of Bishop Auckland don't seem to rate their town very highly - '...run down,' one said, '...seen better days,' said another, '...small, not much here,' said someone else, then 'Do you think so?' a taxi driver said doubtfully and rather incredulously when I commented that I thought it pretty. The railway line certainly gives a feel of remoteness. It is at the end of a small branch line from Darlington. The station has only one platform and there is a vigorous growth of weeds on the tracks and a determined amount of graffiti on the walls - which has just as determinedly been almost wiped off again. But I liked it there. I liked the feeling of antiquity and the way it has clearly grown randomly like those copper sulphate crystals in the BRITISH ARTSHOW 6 exhibition. 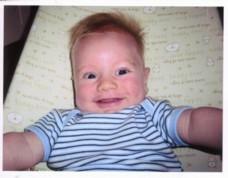 This is George - born June 5th 2005. He is the first grandchild of Jan who is a friend of mine. I got this picture through the post a couple of days ago and every time I've come across it since it's made me smile. So I just thought I'd post it up here. I'm sure he'll make a fine writer some day - of comedy I'd say. I think he has some pretty good lines going on in his head already. Tomorrow I am off to Bishop Auckland in County Durham to give a talk in the town hall - yet another journey across the pennines - none for years and then two in a week. The area has a haunting bleakness which I always find attractive. This time I am going by car because the train service is inadequate. Gillian Wales, the Centre Manager at Bishop Auckland, does a very good job at arranging the entertainment in the town - looking thorugh the programme of events there is an astonishing range of cultural activities with touring theatres, puppet shows, a selection of films, dances and concerts, authors events, art exhibitions and crafts - something for everyone I would say. I notice that at half term there is a week-long event celebrating Hans Christian Andersen's fairy tales in which the participants will adapt stories for the stage - making costumes and scenery and finally performing in front of fmaily and friends - sounds excellent. 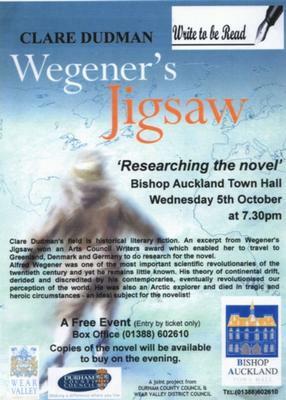 I am giving an illustrated talk on my research for my novel WEGENER'S JIGSAW and discussing my work with the author Elizabeth Hankin. 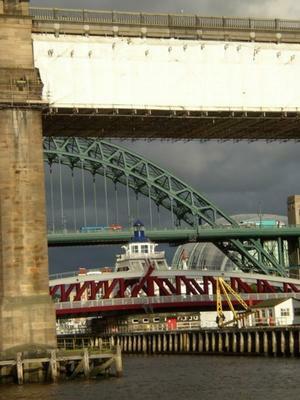 Newcastle Bridges and the British Artshow 6 at the Baltic. Newcastle acquired another bridge for the millennium - one that 'winks' -raises its bottom eyelid to allow big ships to pass beneath. 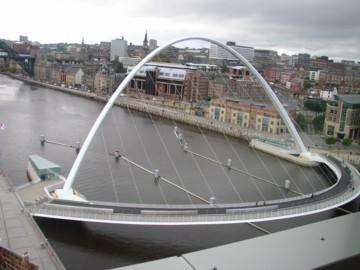 Of course there are other older bridges over the river Tyne too - bridges that have replaced more ancient bridges. The Romans built one of the first - the probable site has been located by finds of old coins and other artifacts. 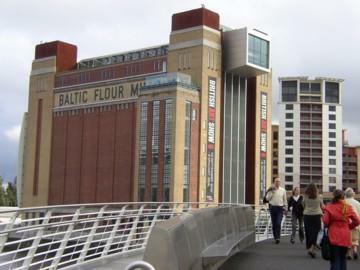 Then, in the industrial revolution, there were bridges built for trains, and in the twentieth century bridges for cars, while the bridge for the new millennium takes only people on foot or bicycle. 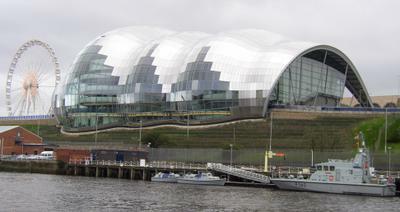 This millennium bridge for the north of England connects Newcastle with a new arts complex in Gateshead consisting of a magnificent light-reflecting concert building, a millennium wheel and 'the Baltic'which has been converted from a 1950s warehouse. 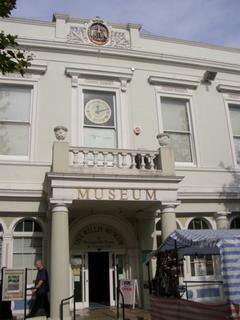 This is a space not just to be used as a conventional art gallery but as a place where art can be made. The present exhibition there is called British Art Show 6 and I found much to enjoy. The show brings together 50 artists which are thought to be most representative of current developments. Film is the predominating medium and there is much variety - from one I didn't manage to see - the sign 'sexual explicit footage' ensuring there was a queue to see Doug Fisbone's TOWARDS A COMMON UNDERSTANDING - to a work that is probably more gentle by Rosalind Nashashibi in which she simply followed a day in the life of an extended family living in Nazareth. This was strangely fascinating. People sat, talked, prepared food, ate - the men at the table followed by the women and children eating what remained - stood by prayer mats and contemplated God, and then slept. Interspersed with the living were shots of inanimate objects which somehow indicated that time was passing - an open door way showing nothing very much but with a background of quiet chatter. There was a sense too of timelessness - this is how it is, this is how it will always be - families living together, not accomplishing much, just being. Next door to this was a work by Haluk Akakce. In his video BIRTH OF ART computer-generated metallic pears fall opening as they do so to produce magnolia-like blossoms which float and fall again in brilliant colours. Another film which used reflective surfaces to great effect was Marc Leckey's MADE IN 'EAVEN. The camera moves around the sculpture called 'Rabbit' by Jeff Koons which is made of very reflective steel and explores the reflection and distortion of the artist's bare room. The camera zooms in and out - an effect which is quite mesmerising - alcoves in the rooms become the rabbit's eyes, the walls curve and then become straight, one reality replaces another and the viewer's mind is tricked and stretched too. Anna Barriball works in many media. Her film PROJECTION was simple but poetic. She filmed herself in profile at a window wearing a sequined t-shirt and as she breathed the pin-points of reflected light on the wall next to her scattered around as if they were alive too. Also on display was her sculpture GREEN + BLUE = CYAN which consists of two desk lamps illuminating a drawing of green and blue circles intersecting to produce cyan. The other sculptures I liked were those by Roger Hiorns who is fascinated by copper sulphate - he likes the way the crystals grow in their own uncontrollable pattern - which is something that has always fascinated me too. In some ways a growing crystal is close to something living since it shares some of the characteristics. In DISCIPLINE he has taken a thistle branch and replaced the thistle blossom with harder, more durable and just as beautiful mineral flowers of copper sulphate crystals, and in UNTITLED he has fed oxygen into three vessels filled with detergent which causes them to produce impressive columns of foam - touched again with the blueness of copper sulphate - until they collapse back onto the floor like too much toothpaste squeezed from the tube. The sculpture of Hew Locke was also memorable: in BLACK QUEEN and EL DORADO he constructs large collages of heads from plastic dinosaurs and flowers and creates an effect which is intense, garish and also sinister. Perhaps the most unusual sculpture was a carpet installation by Tonico Lemos Auad. I could not find a title - but somehow he had managed to teased strands of fluff from a carpet (which you could walk around) into the shapes of animals which were in part crudely formed and in part highly detailed. It gave an exquisite impression of an animal growing from the carpet and yet still part of it. I suppose it is 2D art I most admire because I like to draw a bit myself. Gordon Cheung's unsettling landscape paintings which involved stockmarket listings from the Financial Times I thought suitably poignant as his trees seemed to be turning into monsters. Silke Otto-Knapp's painting SHOWGIRLS(BLUE) is subtle, but one of those pictures that the more you look at it the more you see - the vaundeville dancers looking wistfully out of the canvas as if they are trapped. Lucy Skaer's work is vibrant, large and stunning. In THE PROBLEM IN SEVEN PARTS she shows a corpse again and again around and overlapping an empty wine glass. The corpse is a victim - the message political. It is moving. 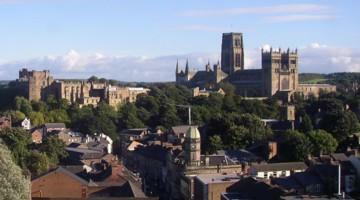 Tonight I came back from Newcastle and on the way took these photos of the city of Durham. The cathedral is built on the highest point for miles around and is almost encircled by a dramatic wooded gorge - the incised meanderings of the river Wear. The streets leading up to the cathedral are flanked by small ancient houses converted into colleges. Modern life just scratches at the surface of this place. I went to university here when I was nineteen - I wanted to go as far away from home as I could - not that I was running away, I just wanted to see what it was like to live somewhere else. 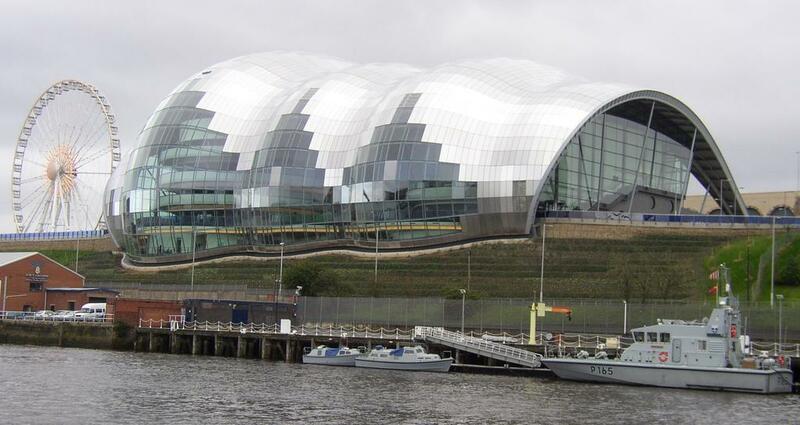 My college was St Aidan's - a modern structure outside the city - over Prebend's bridge with its notorious flasher up a steep slope then many steps. The science departments were close by - also modern, so visits into the city itself were infrequent - perhaps that's why this old part retained its majesty for me. Bill Bryson is the new vice-chancellor of the university of Durham and seems as impressed with the place as I was. I studied geology in my first year before swapping to chemistry and one of our first field-trips was a tour through the city. Inside the cathedral we paused by some ornate dark pillars, each one decorated with gracefully curving white fossils - 'dibunophylum bipartitum' our lecturer told us and I liked the sound of these words so much I practised them until I could remember them. This other picture is clearer, the train window less dirty - to the left of the cathedral is the castle which is part of the original first college. I went to a ball there once and at dawn a solitary piper played from its walls. When I think of that now it seems like it was another person that was there, not me. All I remember are snatches - the piper on the wall, and a walk home in the dawn to catch some sleep, the early light of day difffusing through trees and the cathedral watching us.